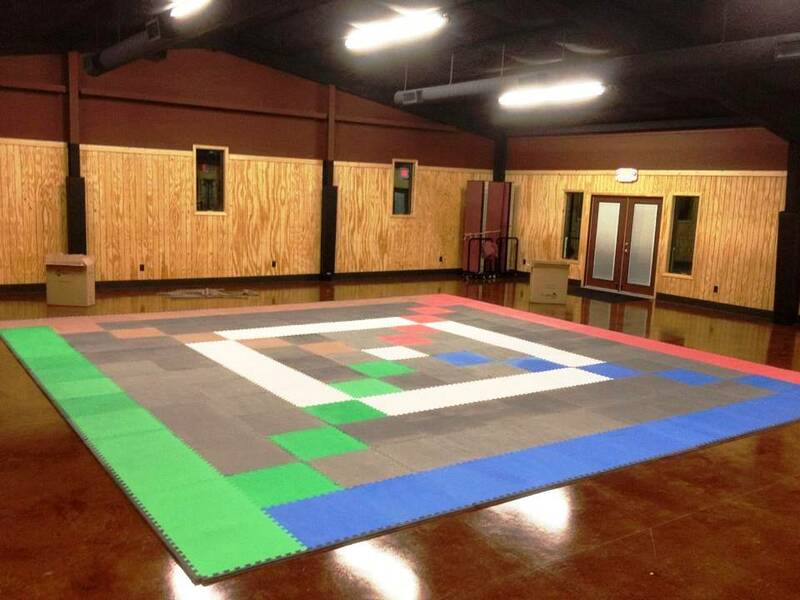 Convert family life center into several rooms for different ministries. 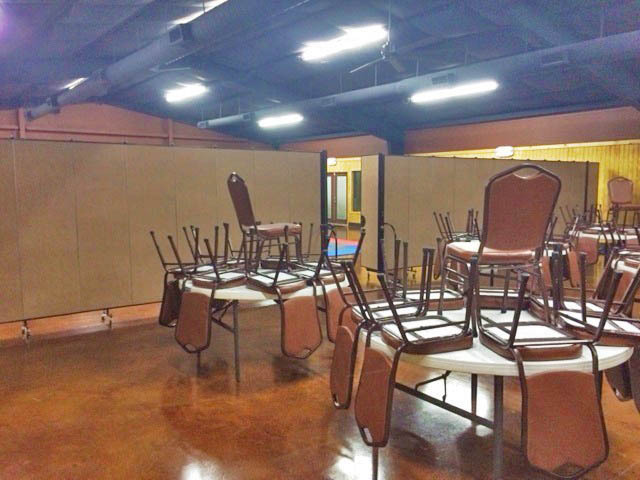 Kirk L. Zehnder, Pastor of The Fellowship at Weatherford, a church in Weatherford, TX sent these photos of their bustling Family Life Center after their recent purchase of two 11 panel room dividers. Built earlier in 2014, the center houses a meet-up cafe area and space for their growing Awana program. Wanting to have a more flexible space for their growing congregation, Pastor Zehnder asked Screenflex to design a plan for their bustling Family Life Center. 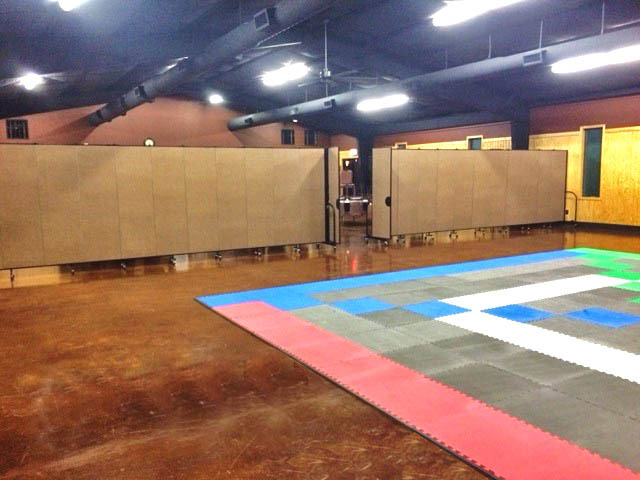 These photos show how they’ve separated their Awana game floor from the cafe area, but both are still accessible through the set of double doors. This allows them to run multiple programs at the same time. The sound absorbing properties of the Screenflex Room Dividers keeps the noise and visual distractions at a minimum. They chose a very neutral color that would blend with their decor. If your church multipurpose room could use more flexibility, call one of our professional consultants for a free and easy design consultation and fabric samples, or get a list of customers in your area.